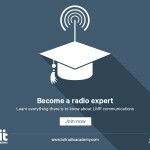 Digital mobile radio: it’s a game changer (0) August 4, 2015 Mining is an inherently dangerous business and communications play a key role in improving the safety of individuals and increasing operational efficiency. Spectacular dual crane lift goes horribly wrong (0) August 4, 2015 A dual crane lift in Netherlands has gone tragically wrong, resulting in the injury of approximately 20 people in shops that were crushed in the accident. 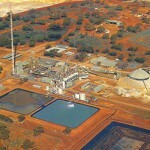 Doray Minerals forges ahead despite downturn (30) August 4, 2015 Doray Minerals has announced some new moves for the company which will help it to push forward through the mining downturn, including workforce expansion. 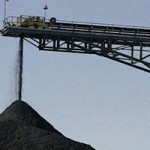 Noise monitors record conversations without permission (0) August 4, 2015 Concerns have been raised that coal mine noise pollution monitors are capable of listening in on private conversations. Alpha Resources files for bankruptcy (23) August 4, 2015 The second largest coal miner in the US has filed for bankruptcy. 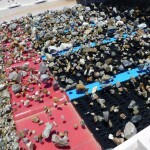 Rio Tinto offers exploration technology to junior miners (0) August 4, 2015 Rio Tinto has announced that laser mineral analysis technology developed for Ore Deposit Science over the last decade will be offered to junior explorers for free. 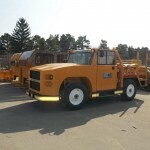 New OTR service truck developed (1) August 4, 2015 Stellar Industries has developed its new 13500 Large OTR service truck for mines. Three men missing in WA’s Goldfields UPDATE (0) August 4, 2015 Three prospectors have gone missing between Leonora and Laverton in Western Australia’s Goldfields. Tenova announces new CEO (0) August 4, 2015 Andrea Lovato has been appointed the new CEO of Tenova, as the company splits itself into new divisions. 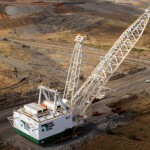 Panoramic Resources cuts jobs after seismic event (0) August 3, 2015 An earthquake at Panoramic Resources’ Lanfranchi operations has forced the company to suspend mining at the Deacon orebody and cut jobs. 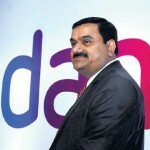 Adani denies it is making job cuts at Carmichael mine (0) August 3, 2015 Adani has denied reports that it is making fresh job cuts from its Carmichael mine project in Queensland. 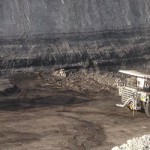 Anglo Coal employee sues for $2 million (0) August 3, 2015 A Queensland man will sue Anglo Coal for more than $2 million over back injuries sustained at work. 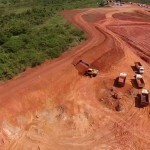 MACA wins Brazilian mining contract (17) August 3, 2015 MACA has been awarded a Letter of Intent for work at Beadell Resources’ Antas North copper mine. 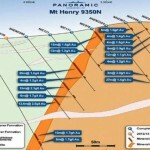 Mt Henry Gold acquisition to go ahead (171) August 3, 2015 The Mount Henry Gold Project has entered a new chapter, having been acquired by Metals X Limited. 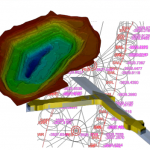 Laser mapping systems installed at Portia Gold Mine (0) August 3, 2015 Consolidated Mining & Civil installed Maptek’s Sentry monitoring system for a South Australian gold mine. 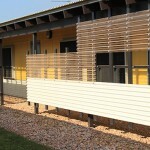 Rio Tinto starts construction on indigenous mining training centre (0) August 3, 2015 Work has begun on Rio Tinto’s mining training centre being developed for the Yolngu people. 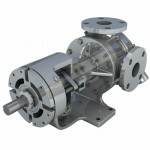 Is Your Essential Equipment Safe & Standard-Compliant? 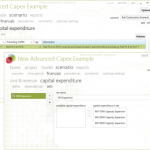 (0) August 3, 2015 Despite industry pressure to achieve operational efficiencies with less financial outlay, there is no excuse for businesses being complacent about standard non-compliance. 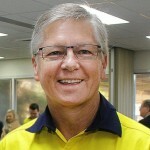 Normet announces new Australia managing director (0) August 3, 2015 Underground construction and mining technology company Normet announces two key appointments to their Australia operations. New power station deal for Anglo’s Grosvenor mine (0) July 31, 2015 Energy Developments has entered into a new gas supply agreement with Anglo American’s Grosvenor mine. 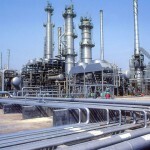 Massive LNG project layoffs on Curtis Island (0) July 31, 2015 With the construction phase winding down for LNG projects on Curtis Island, key contractor Bechtel is laying off approximately 600 employees per month. 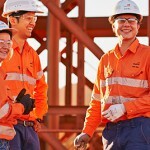 BHP Billiton Australian Undergraduate Intake (0) July 31, 2015 Applications are now open for BHP Billiton’s Australian Undergraduate Program. 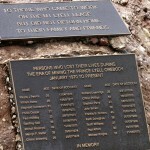 Mount Lyell operator charged with worker deaths (0) July 31, 2015 Copper Mines of Tasmania (CMT) has been charged with the deaths of two workers at the Mount Lyell mine in December 2013. 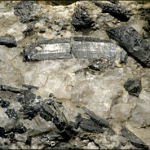 New uranium extraction process discovered (22) July 30, 2015 A new process has been uncovered that allows for the recovery of a mineral from uranium previously thought unrecoverable. 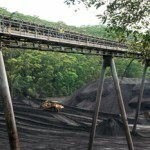 Isaac Plains coal mine sold for $1 (1086) July 30, 2015 Stanmore Coal has bought Isaac Plains coal mine for $1. 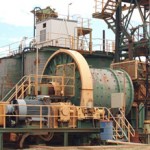 WA gold mine set to start production (0) July 30, 2015 The Nicholson gold mine is set to recommence mining next month, with the processing plant refurbishment nearing completion. 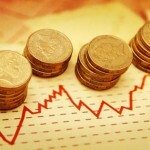 Investment a struggle in the mining sector (0) July 30, 2015 The mining sector is showing signs of “green shoots in a cold market” according to a report from Newport Consulting, however the figures show investment is at an all-time low. 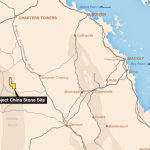 MMG to build $1.4bn zinc mine in QLD (0) July 30, 2015 MMG is set to build a $1.4 billion zinc mine in northwest Queensland. 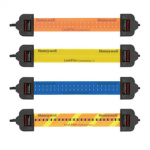 Directional drilling tools launched (14) July 30, 2015 A non-magnetic alignment system for surface drilling applications and drill hole positioning has been developed. 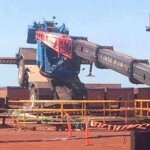 Mount Gibson fined for safety breaches (0) July 29, 2015 Mount Gibson mine has been fined $30,000 for safety breaches relating to work at heights. 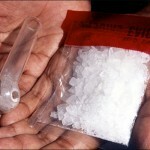 Inquiry hears the use of ice in mining on the rise (0) July 29, 2015 The Federal inquiry into ice has heard the use of the drug is on the rise in the mining industry. 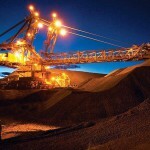 BHP Billiton to cut jobs at Melbourne HQ (0) July 29, 2015 BHP Billiton’s simplification process continues, with the miner set to shed over 100 jobs from its head office in Melbourne. 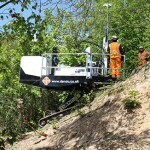 New mine runner developed (0) July 29, 2015 A new all-purpose mine runner will be launched in Australia. 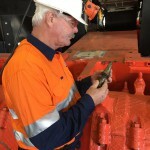 CME achieves four years LTI free (0) July 29, 2015 Crushing & Mining Equipment celebrated a unique milestone this month by completing four years of Lost Time Injury Free. 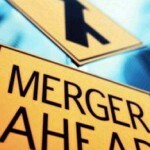 McGraw Hill acquire mining data firm (0) July 29, 2015 McGraw Hill has acquired mining data firm SNL Financial for US$2.225 billion. 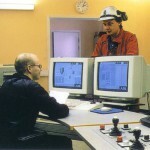 Sandvik announces new drill master role (0) July 29, 2015 Sandvik has created a new role in its businesses to provide deeper training of its drilling products. BREAKING: Suicide discovered at Ichthys camp (10) July 28, 2015 Social media reports have revealed another FIFO worker has ended his life in camp. 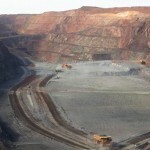 NRW wins $140m contract with Rio Tinto (0) July 28, 2015 NRW has won a contract worth $140m for mining and ore haulage at Rio Tinto’s Nammuldi mine. 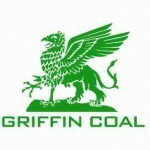 Overtime to stay at Collie Coal Mine (0) July 28, 2015 Griffin Coal have been prevented from removing overtime from the working roster at its Collie mine, thanks to a Fair Work Commission decision handed down yesterday. 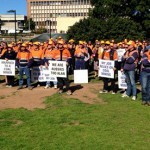 Miners rally to show support for the sector (0) July 28, 2015 Hundreds of people rallied in Newcastle yesterday to show their support for the region’s mining industry. 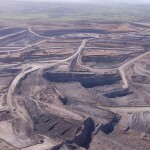 New $6.7 billion coal mine proposed for the Galilee Basin (0) July 28, 2015 An Environmental Impact Statement has been submitted for a new $6.7 billion coal mine in Queensland’s Galilee Basin. 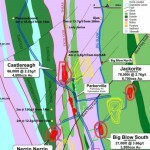 Mungana get mining lease greenlight (0) July 28, 2015 Mungana Goldmines has received approval for its King Vol mining lease from the QLD Department of Natural Resources and Mines. 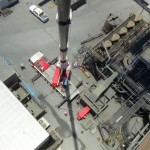 Roy Hill crane incidents continue to escalate (0) July 28, 2015 The Roy Hill project has been issued with a prohibition notice after another crane incident, this time involving a man cage. 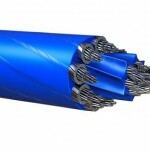 Atlas Iron shares take a beating (0) July 28, 2015 Atlas Iron shares fell by more than 70 per cent yesterday after the company resumed trading for the first time in three months. 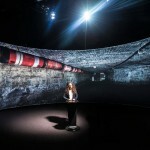 More jobs cut at Curragh coal mine (0) July 28, 2015 Around 50 labour hire workers have been cut by contractor Thiess at the Curragh coal mine. 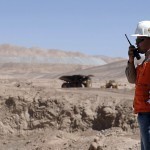 CAE sells off mining division (0) July 28, 2015 CAE has sold Datamine, a mining software company, to Constellation software. 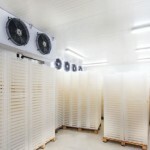 Why You Need a Better Ammonia Gas Detection Sensor for Your Refrigeration System (0) July 27, 2015 Refrigeration and temperature regulation within cold storage facilities, blast freezers and other areas in food and beverage plants is critical to ensuring food is stored safely for human consumption. LNGL secures US gas deal (0) July 27, 2015 A Perth-based company will benefit from a new LNG deal in the US, contracted to provide liquefaction services. 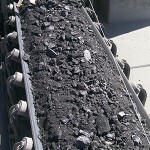 Whitehaven Coal applies to keep Sunnyside mining lease current (0) July 27, 2015 Whitehaven Coal has applied to extend the life of mine at the closed Sunnyside Coal mine. 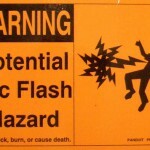 Underground workers burned by arc flash (8) July 27, 2015 Two workers have been injured in an arc flash and blast incident in a West Australian underground mine. 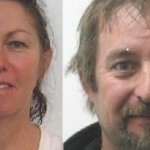 Murdered prospector never found (1) July 27, 2015 A far-north Queensland couple have been found guilty of the murder of a gold prospector, and sentenced to life in prison. 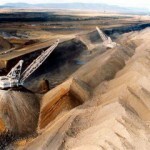 All commodity prices to decline in 2015 (0) July 27, 2015 A new World Bank report has forecast a grim future for the global mining industry. 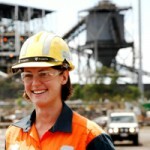 Opposition announces redeployment plans for mine workers (0) July 27, 2015 The Labor Party has pledged to assist workers affected by changes in the electricity generation industry, including reductions in the use of thermal coal. Worker injured at Pike River mine (0) July 27, 2015 A worker has been injured during demolition work at the Pike River coal mine. 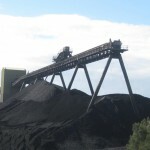 Yancoal announces round of redundancies (0) July 24, 2015 The NSW coal industry has lost another 225 jobs due to the global downturn in the price of coal. 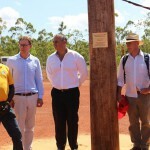 Goldfields gas pipeline on track (0) July 24, 2015 APA Group announced the Goldfields gas pipeline has passed the halfway mark and is on schedule for completion this year. 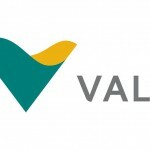 Vale sets iron ore production record (0) July 24, 2015 Vale, the world’s biggest iron ore miner, has posted a record-breaking June quarter of iron ore production. 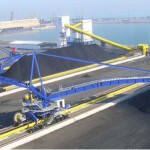 Development levy offered for T4 loader proposal (0) July 24, 2015 Port Waratah Coal Services has offered to pay a $12 million developer levy to offset the impacts of the proposed T4 coal loader on Kooragang Island. 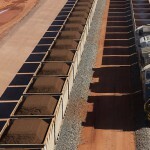 Fortescue lifts iron ore production, cuts costs (0) July 24, 2015 Fortescue Metals Group has increased its yearly iron ore shipments by 33 per cent. NZ invests in prospecting exploration data (0) July 24, 2015 The New Zealand Government is spending NZ$6 million in surveying to improve national mining data. 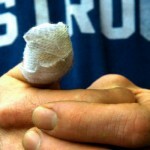 Minimal rise in Goldfields injuries (0) July 24, 2015 New figures from the Department of Mines and Petroleum show 208 mining workers were seriously injured in the Goldfields in 2014-15. CORRECTION: July 2015 print edition (0) July 24, 2015 CORRECTION: Australian Mining wishes to apologise for a factual error in the July 2015 print edition of the magazine. 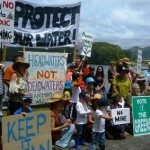 QLD gov may reinstitute mining protest ban (0) July 24, 2015 The Queensland Government may reinstitute some restrictions on opposition to mining projects after overturning a bill outright banning certain anti-mining protests. 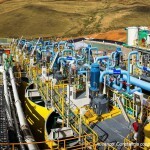 WA to lead the field in carbon capture (0) July 24, 2015 A new carbon capture research facility opened on Wednesday will make WA a world leader in the field of geosequestration. 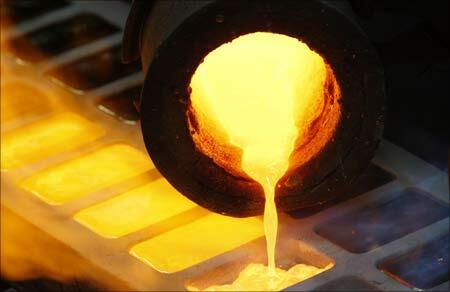 Newcrest lifts gold output (0) July 23, 2015 Newcrest Mining has posted a 10 per cent lift in gold production for the June quarter. 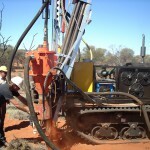 New mineral sands deposits uncovered (0) July 23, 2015 Sheffield Resources have announced four new minerals sands discoveries in Western Australia. 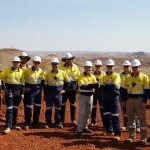 BGC cuts over 100 iron ore jobs (0) July 23, 2015 BGC Contracting is set to cut 125 jobs as it scales back mining at both Iron Knob and South Middleback Ranges iron ore mines. One in 10 gold mines now uneconomical (0) July 23, 2015 The plunging gold price has slashed margins for miners around the world, making 10 per cent of production now uneconomical. 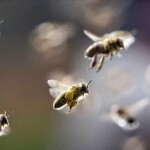 Miner injured by bees (0) July 23, 2015 A worker in WA has sustained multiple bee stings after he was attacked by a swarm during rehab operations. 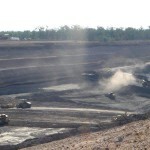 Adani suspends more contractors from Carmichael mine (0) July 22, 2015 Reports have emerged that Adani has sacked two more contracting firms working on its massive Carmichael mine in Queensland. Smit Lamnalco drops out of Newcastle tug business (0) July 22, 2015 The exit of one of Newcastle’s two tugboat companies will result in the loss of 50 jobs. 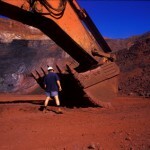 BHP Billiton sets new iron ore production record (0) July 22, 2015 BHP Billiton has posted a 14 per cent rise in iron ore production to set a new record. 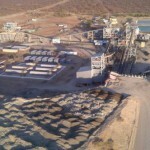 Miners gets new permits to grow marijuana (0) July 22, 2015 Erin Resources has acquired licences to grow cannabis in Namibia. 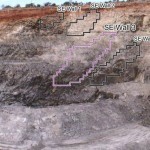 Hall Engineering wins Ranger mine remediation contract (0) July 22, 2015 Hall Engineering has won the contract to carry out remediation work at ERA’s Ranger uranium mine. Cadia wins legal challenge (0) July 22, 2015 Legal challenges against Newcrest Mining’s exploration leases by Gold and Copper Resources have been dismissed in the Land and Environment Court. 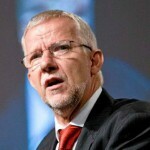 Exposé showed ExxonMobil avoided excess carbon pollution in 1980s (0) July 21, 2015 Oil company ExxonMobil has been concerned about carbon-caused climate change since the early 80s, a former employee and climate expert revealed. 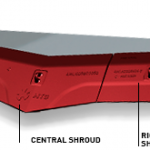 Atlas Iron’s capital raising falls short (0) July 21, 2015 Atlas Iron has fallen short of its $180 million target, raising just $86 million in capital funding. BHP and Iluka amend Area C royalty agreements (0) July 21, 2015 BHP winds back royalty payments to Iluka as iron ore continues to ebb. 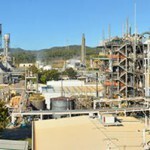 Strike action draws closer for Chevron’s Gorgon project (0) July 21, 2015 Workers at the Gorgon project are a step closer to taking protected strike action after the Fair Work Commission approved their right to conduct a protected action ballot. 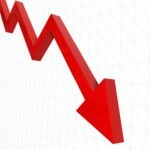 Australian gold stocks take a hit (0) July 21, 2015 The value of Australian gold stocks were slammed yesterday after the price of the commodity hit a five-year low. Gas not to blame for worker dizziness (0) July 21, 2015 A worker at the Kanmantoo copper mine who was rushed to hospital yesterday could not have suffered from gas inhalation, according to Hillgrove Resources. 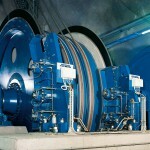 Don’t Let Water Ruin Your Vital Data Assets (0) July 21, 2015 If you mix water with high-tech equipment and data assets, you are almost guaranteed to experience disasters left, right and centre. 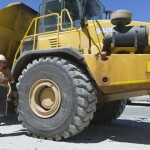 Hitachi release new wheel loaders (13) July 21, 2015 Hitachi has released a new range of wheel loaders to increase capacity at quarries and smaller mining operations. Asteroid miner successfully launches into space (0) July 20, 2015 Asteroid miner Planetary Resources has successfully deployed from the International Space Station to trial space prospecting. 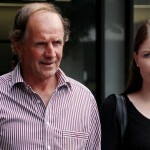 Ad scammer loses appeal, faces 6 months behind bars (0) July 20, 2015 The appeal case of advertising scammer Peter Noel Anthony Sorensen has been dismissed by the Paramatta District Court, upholding his conviction for defrauding eight companies of $124,000. 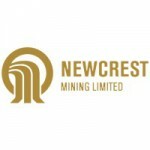 Newcrest reports Papua New Guinea death (0) July 20, 2015 Newcrest has reported the death of a worker at the Hidden Valley joint venture in Papua New Guinea over the weekend. 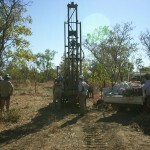 Impact Minerals soars on Forrest investment (0) July 20, 2015 Andrew Forrest’s investment in Impact Minerals caused the junior’s shares to climb 15 per cent on Friday. 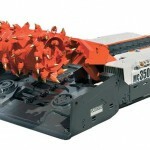 Atlas Copco develop new rock drill (0) July 20, 2015 Atlas Copco have created a new low pressure rock drill for surface drilling applications. 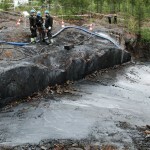 Ancient mine to re-open (0) July 20, 2015 The mine that created mining behemoth Rio Tinto is set to re-open in Spain. 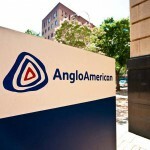 Anglo American announces multi-billion dollar impairment (0) July 17, 2015 Anglo American has announced a writedown of $US4 billion due to its Minas-Rio iron ore project in Brazil and Australian coal assets. 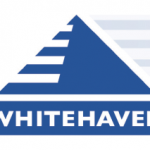 Whitehaven Coal posts 66 per cent production increase (0) July 17, 2015 Whitehaven Coal lifted production by 66 per cent in in the June quarter due to the continued ramp up of Maules Creek mine. 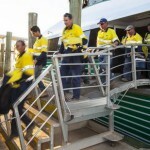 Poseidon Nickel delays restart of Lake Johnston (0) July 17, 2015 Poseidon Nickel has cut jobs as it halts plans to restart the Lake Johnston nickel operation. 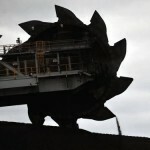 Approval for Shenhua’s Watermark coal mine could be overturned: Hunt (0) July 16, 2015 Environment Minister Greg Hunt said he is prepared to halt the development of Shenhua’s Watermark coal mine if the project does not meet the strict conditions he put in place. 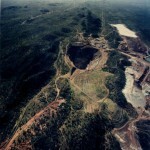 QLD to overturn mining protest ban (0) July 16, 2015 Queensland’s Palaszczuk Government is seeking to remove the former Newman Government’s bill preventing certain objections against mining proposals. 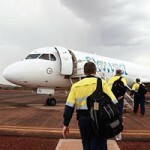 Mental health stigma stopping FIFO workers speaking up (6) July 16, 2015 The unhealthy stigma attached to mental health problems is stopping miners from seeking help. 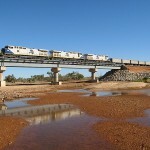 Rio Tinto on track to deliver 360 Mt/a of iron ore (0) July 16, 2015 Rio Tinto on track to deliver 360 Mt/a of iron ore, with key elements of the infrastructure that will support the expansion now complete. 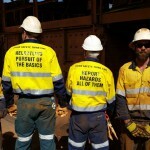 CFMEU claim mining bosses stifling safety on sites (0) July 16, 2015 Workers are reportedly wearing safety stickers on their work gear today to promote safety in the workplace, despite being banned by employers. 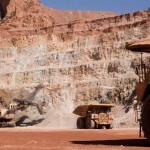 FMG shuts one camp at Christmas Creek mine (0) July 16, 2015 Fortescue Metals Group has shut one of two accommodation villages at Christmas Creek mine in a bid to cut costs. 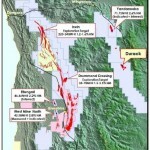 GR Engineering win Nova Nickel contract (0) July 16, 2015 GR Engineering has won another EPC contract for Sirius Resources’ Nova nickel project. 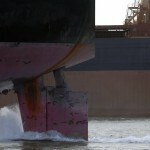 Shire of Esperance irate about uranium remarks (0) July 15, 2015 The Shire of Esperance has lashed out at public suggestions by Cameco that they would want to use the WA port for shipping uranium. 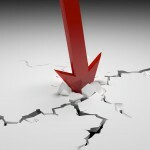 Bradken confirms earnings after stock price plunge (0) July 15, 2015 Bradken has been forced to reaffirm its full-year guidance after its share price took a hit. 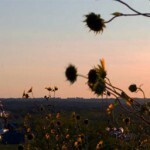 BHP see massive US shale impairment (0) July 15, 2015 BHP has announced an impairment of around US$2.8 billion impairment against the value of its US onshore energy assets. 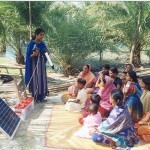 Solar project to commence at Degrussa (0) July 15, 2015 Sandfire Resources will soon commence construction of a $40 million solar power plant at the Degrussa Copper mine in Western Australia. 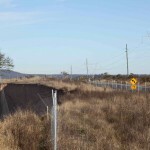 NSW Minerals Council says lies about Watermark coal mine must end (0) July 15, 2015 The NSW Minerals Council says discussions around the approval of Shenhua’s Watermark coal mine have been dominated by “outlandish exaggerations” by people who oppose the mine. 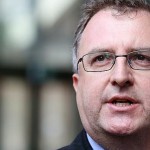 Lack of exploration funding in QLD budget (0) July 15, 2015 While the QRC has lauded the Queensland budget as solid and responsible, the Association of Mining & Exploration Companies says the government has scrapped a key exploration drilling initiative. 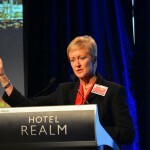 Cut supply or face stagnation, Mac Bank says (0) July 15, 2015 A widespread cut in production is needed if the mining industry is to grow, according to Macquarie Bank. 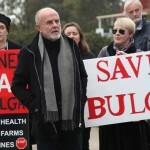 Farmers could resort to civil disobedience in order to stop Watermark coal mine (0) July 14, 2015 Farmers living near the Liverpool Plains have threatened legal action and civil disobedience in order to stop the construction of Shenhua’s Watermark coal mine. 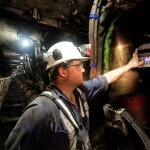 Next gen hard hat to change the way we work (0) July 14, 2015 Remote supervision via your hard hat might sound a little far fetched, but an Australian start-up company is paving the way with just such an innovation. 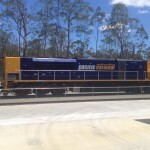 Students head to mining camp (0) July 14, 2015 Twenty seven West Australian high school students are set to spend a week travelling across the state’s south west in a bid to learn more about the mining industry. 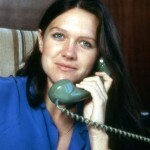 Gina Rinehart says Hancock Prospecting was a mess when she took over (0) July 14, 2015 The second episode of a two-part Australian Story special has seen Gina Rinehart recount the struggle she went through to save Hancock Prospecting after her father died. 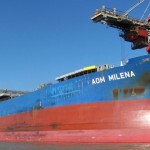 Will uranium be shipped through Esperance? (0) July 14, 2015 With the uranium industry gaining momentum in WA, Canadian miner Cameco has suggested Esperance as an export hub for products. 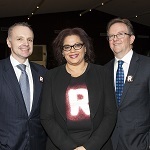 First indigenous mines inspector in WA (0) July 14, 2015 Western Australia has employed its first Aboriginal mines inspector, who was welcomed into the role by mines minister Bill Marmion. 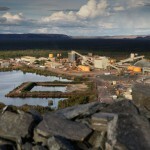 Nyrstar secures Tasmanian smelter future (16) July 14, 2015 Nyrstar has signed an agreement to invest in its Tasmanian smelter, as the company announces a new Australian CEO. 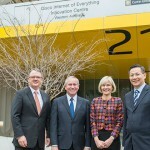 UNSW opens new Mechanical Engineering precinct (0) July 13, 2015 The University of NSW officially opened its new Mechanical Engineering Precinct last week, with the completion of the new Ainsworth building. 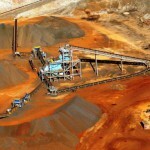 Iron ore price making a slow climb (0) July 13, 2015 Iron ore’s wild ride continues as the commodity lifts to close to $US50 per tonne after an 11 per cent crash last week. 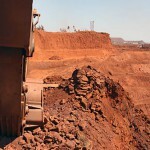 HHA Group winds up (169) July 13, 2015 Unstable iron ore prices have scared investors away from the troubled HHA Group, resulting in job losses for 70 employees. 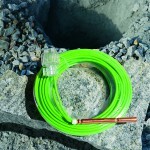 Atlas Copco releases new drill compressor (0) July 13, 2015 Atlas Copco has unveiled its new DrillAir Y35 portable compressor for geothermal drilling applications. 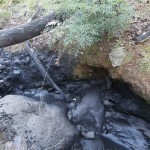 Fallout from the Watermark coal mine approval continues (0) July 13, 2015 Political finger pointing and blatant name-calling has taken centre stage since Shenhua’s $1.2 billion Watermark coal project was approved by Environment Minister Greg Hunt. 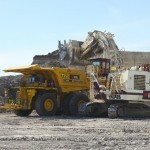 Reliable Equipment & Parts the Key to Longer Living Machines (0) July 13, 2015 The mining, manufacturing and quarrying industries put their workers and equipment through some of the toughest conditions on the planet. 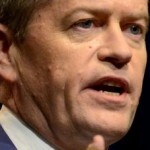 Palmer calls for stronger measures against Chinese coal testing (0) July 13, 2015 Federal MP Clive Palmer has spoken up about China’s new coal testing regime, recommending retaliatory action. Macmahon announce new CEO (0) July 13, 2015 Macmahon has announced Sybrandt van Dyk as its new CEO, effective immediately. 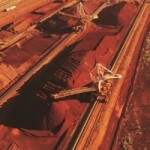 Price of iron ore rebounds (3) July 10, 2015 The price of iron ore has posted a 10 per cent increase since it hit a new record low yesterday, but is still languishing below $US50 a tonne. Gold Ridge tailings dam threatens to burst (0) July 10, 2015 The Solomon Islands government have declared the Gold Ridge mine a disaster area, with the tailings dam close to overflow and environmental catastrophe. 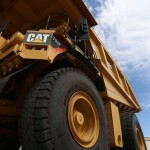 Mining jobs set for future revival (0) July 10, 2015 There is growing demand for fieldys in WA, as the job market sees a revival. 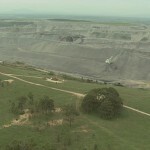 Storm of controversy erupts after Federal approval of Watermark Coal mine (0) July 10, 2015 The approval of Shenhua’s $1.2 billion Watermark coal project by Environment Minister Greg Hunt has been met with mixed reactions from the community. 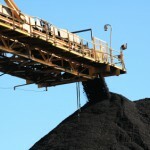 New coal mine planned for Southern Highlands (0) July 10, 2015 Hume Coal has announced plans for a new underground coal mine that could create 300 jobs. 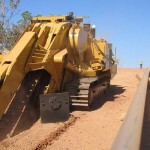 Workers injured in Pilbara road accident (0) July 10, 2015 Two mining workers have been injured in a vehicle collision that occurred 200km south of Port Hedland on Thursday afternoon. Cummins creates new lube filter for diesel engines (0) July 10, 2015 Cummins Filtration have developed a new lubrication filter for its Cummins ISX engines. 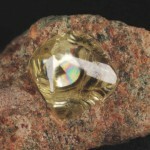 Opal discovery may prove life on Mars (0) July 9, 2015 The discovery of opals in a meteorite from Mars may be proof of life on the red planet. 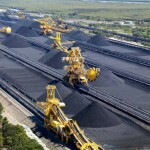 Coal exports still breaking records (4) July 9, 2015 Coal exports are still growing, in spite of a weakened market. 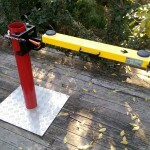 Esco develops new lifting system (4) July 9, 2015 ESCO Corporation has released a new SecureLift lifting system. 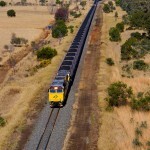 Aurizon wins coal haulage contract (24) July 9, 2015 Aurizon has won renewals for its Dawson and Callide coal mine haulage contracts. 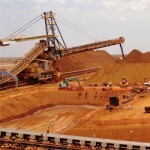 Iron ore hits record low of $US44.10 (0) July 9, 2015 Iron ore is trading at a record low of $US44.10 per tonne after crashing 11 per cent overnight.